This is a pytorch implementation of Generative Adversarial Text-to-Image Synthesis paper, we train a conditional generative adversarial network, conditioned on text descriptions, to generate images that correspond to the description. The network architecture is shown below (Image from ). This architecture is based on DCGAN. This implementation currently only support running with GPUs. 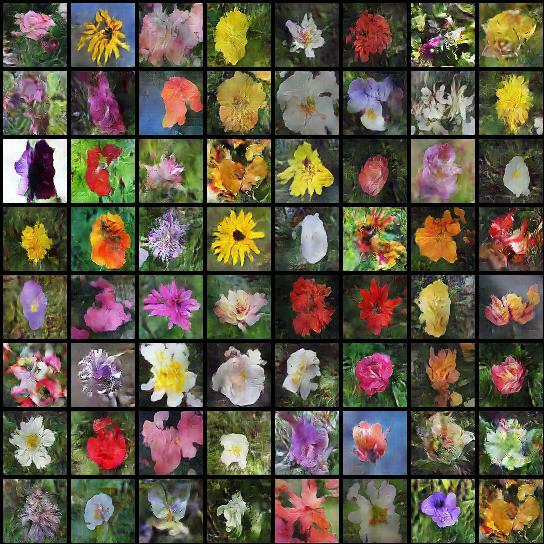 We used Caltech-UCSD Birds 200 and Flowers datasets, we converted each dataset (images, text embeddings) to hd5 format. Add the paths to the dataset to config.yaml file. Use convert_cub_to_hd5_script or convert_flowers_to_hd5_script script to convert the dataset. save_path : Path for saving the models. pre_trained_disc : Discriminator pre-tranined model path used for intializing training. pre_trained_gen Generator pre-tranined model path used for intializing training.